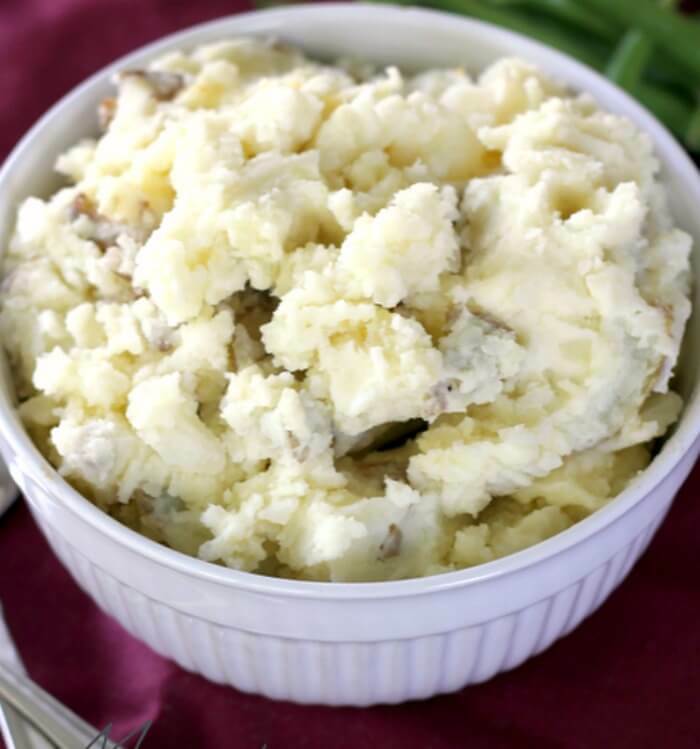 Mashed potatoes will be your go to side dish after trying this amazing mashed potatoes recipe! Mashed Potatoes are something I love so dearly. And I’m fortunate that my husband and kids love them too, so we enjoy mashed potatoes year round, not just during the holidays. 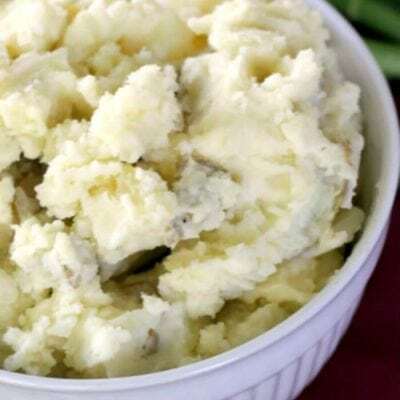 This mashed potatoes recipe is super simple and makes the most decadently deliciously perfect mashed potatoes you’ve ever had! I like to serve them with ground beef stroganoff, or in our Thanksgiving leftovers casserole! For dessert, a fruit pizza! Yes! Chicken stock or broth – I like to make homemade chicken stock as it adds more health benefits and has a richer taste. That said, these mashed potatoes will still be delicious if you use store bought stock our bouillon. Russet potatoes – I find russet potatoes make the best traditional mashed potatoes. You can definitely sub other types of potatoes, but make sure they’re about the same comparative size or you will change the recipe proportions. One of the things I love about this recipe is you don’t have to peel the potatoes! garlic cloves – We use whole garlic cloves in our mashed potatoes recipe. When they’re cooked it gives the dish a mild and delicious garlic flavor. 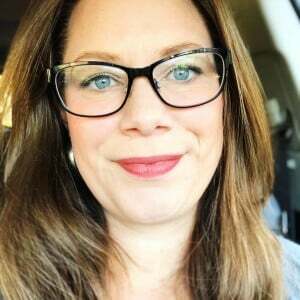 butter – Use the good stuff! And salted! Yum! cream cheese – Sometimes I get a funny look when I say to add cream cheese to mashed potatoes. Just trust me on this. It doesn’t taste cheesy, it just gives them more depth of flavor. heavy cream – I’m a bit of a heavy cream addict and I think it finishes these mashed potatoes of beautifully. If you’re not a fan, milk will work in a pinch. Is it healthy to eat mashed potatoes? Mashed potatoes are healthy depending on what diet you follow. 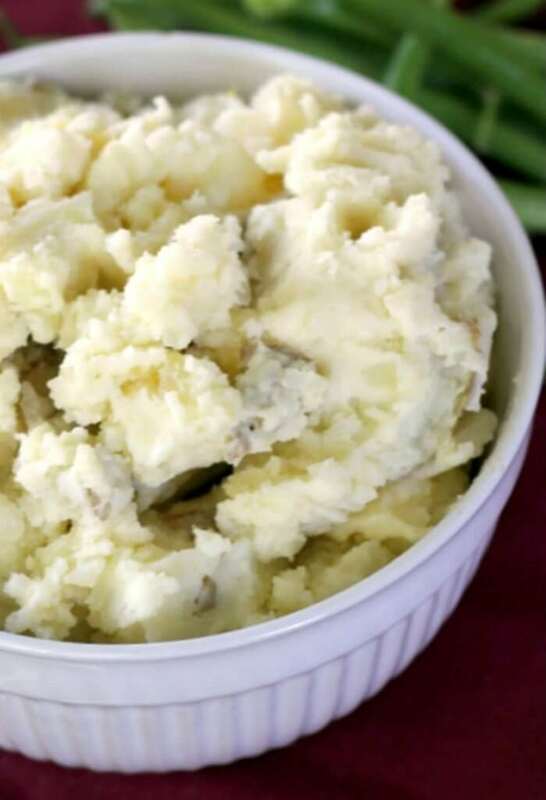 This mashed potato recipe contains good fats, bone broth, and the fiber rich skin of the potatoes. Potatoes also contain vitamin B6, vitamin C and iron. That said, if you’re looking for a low calorie or low fat recipe, this one might not be for you. Or at least, small portions. Funny story (you can laugh at me, it’s okay!). Many (many) years ago when I was in law school, a group of us stuck around for the Thanksgiving holiday and decided we would do our own big dinner. I happily volunteered to make mashed potatoes. Only problem was I didn’t know how to cook. But I figured I was a smarty pants and could figure it out. Too bad I didn’t have the good sense to consult a cookbook, and what resulted was a pot of gluey undercooked, over mashed, sad sad potatoes. Needless to say, I never tried again. Until now. Today it was finally time for a do-over! So, I dabbled around the kitchen all morning and into the afternoon until I came up with this deliciously delicious mashed potatoes recipe. I hope you enjoy it as much as I do. I think this recipe is as good as my first one was bad. And that’s saying something. The perfect mashed potatoes are made by cooking the potatoes enough that they’re not gummy, but not so much that they get dry and grainy. Then adding creaminess and flavor with a combination of butter, cream cheese, and heavy cream. How do you boil potatoes for mashed potatoes? 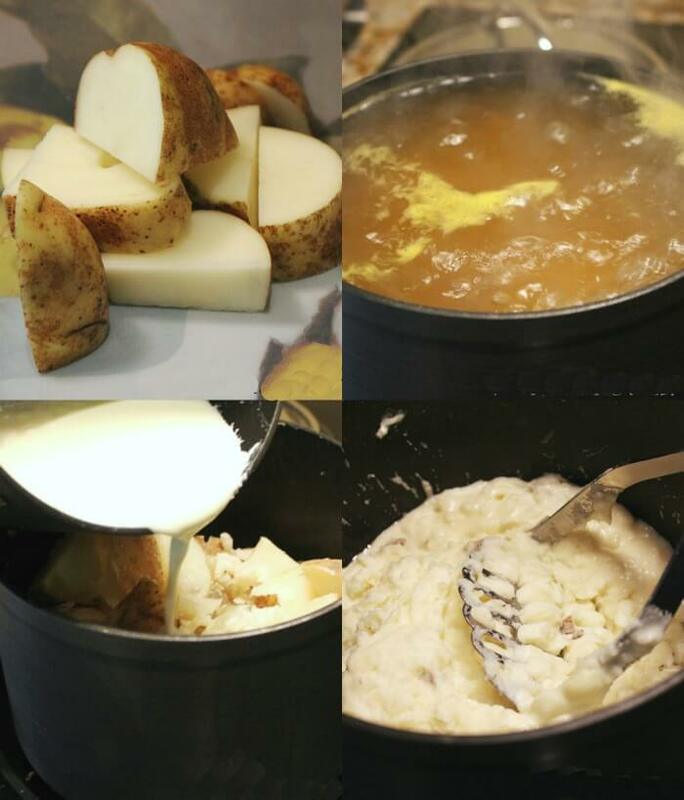 We boil potatoes for mashed potatoes by cubing them first – leave the skin on! – and then placing them in a pot of boiling chicken or turkey stock for about fifteen minutes. Then drain the liquid and put the pot back on the warm stove so the extra liquid evaporates while you prepare the rest of the ingredients. Cuisinart Stainless Steel Cookware Set – These pots and pans are a kitchen staple. They will literally last forever! Butcher’s Block Cutting Board – Have it and love it! I bet you’ve seen it on the Mama Loves Food Live Show! Stainless Steel 5-Piece Flatware Serving Set – Just an overall great and classic set. Perfect for serving mashed potatoes. OXO Good Grips Smooth Potato Masher – While not strictly necessary, this will make the potato mashing easier and faster! You can also watch us make these mashed potatoes on YouTube! Make sure to tune in for all our live cooking shows! 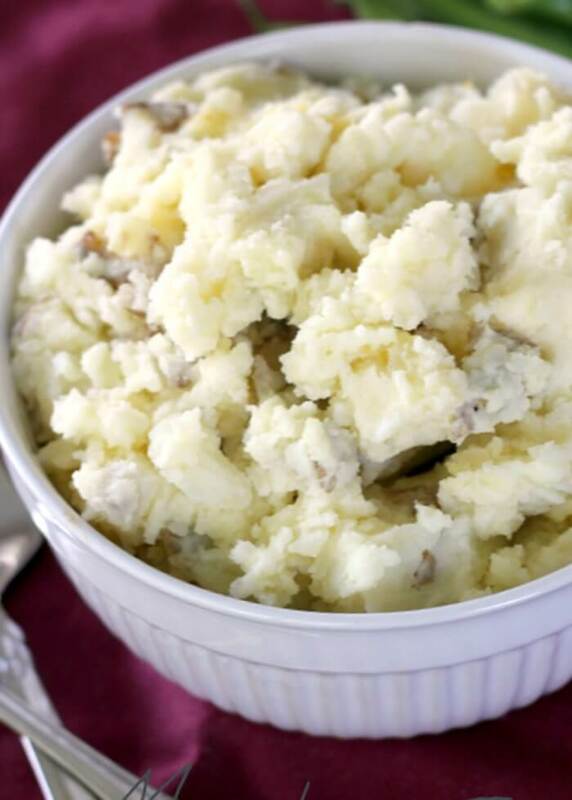 You'll never want box potatoes again after trying this Mashed Potatoes recipe! Bring chicken stock to a boil and add cubed potatoes and garlic. Turn down heat and cook at a low boil for about 15 - 20 minutes, until potatoes are cooked through (soft, but not crumbly). Drain stock and return potatoes and garlic to the hot pot on the stove (with the stove-top turned off). In a saucepan combine butter, cream cheese, and 1/2 cup heavy cream. Heat on low until butter is melted and cream cheese is very soft. Pour into pot with potatoes. Mash potatoes until you reach desired consistency. Add additional cream if necessary. These MP are delicious. My whole family loved them!!!! I was worried about using cream cheese. I love it but my son doesn't. No need to worry, just makes the MP creamy. Tasty and easy. No peel takes away the Burden of MP ! Save the leftover chicken stock for your gravy ! Ultimate comfort. These are delicious and we don’t have them often enough! 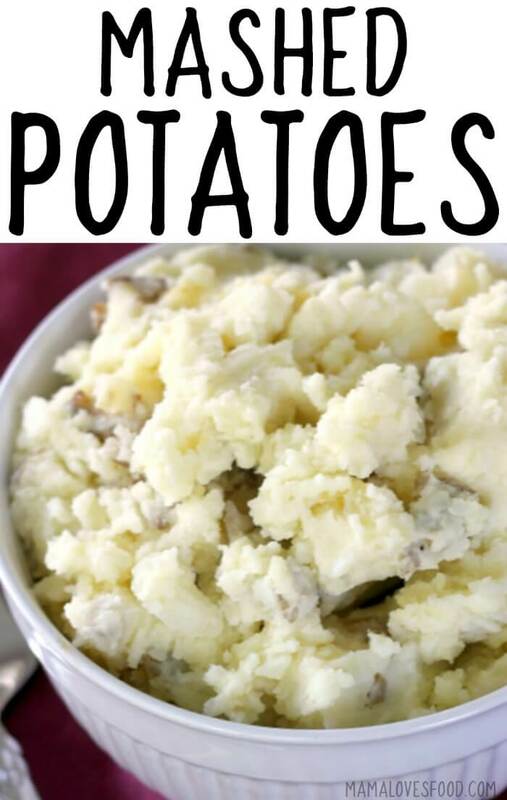 These are the best mashed potatoes! Great flavor and consistency. I’d never added chicken broth to my mashed potatoes. Great way to get additional vitamins and health benefits! I love the idea of cooking the potatoes in broth rather than water!!! I bet that adds so much extra flavor to them! And with cream and butter….YUM! OMG, just premade these for Christmas Eve dinner tomorrow. They are so good we can’t stop “sampling” them! I used about 10# of russets, 2-64oz chicken broth, 2 sticks butter, 8oz cream cheese and almost 16 oz of heavy cream. I used. Masher to in corporate all, then an electric mixer to whip lightly. They are the perfect consistency. I hope they reheat perfectly tomorrow! Can’t wat to serve this delicious side dish. Happy Holidays!